I fell in love with Nutella two years ago when I was living in Paris. I stayed with a family for three months and the woman of the house, Roselynn, put out Nutella and croissants for me every morning. It was love at first bite. 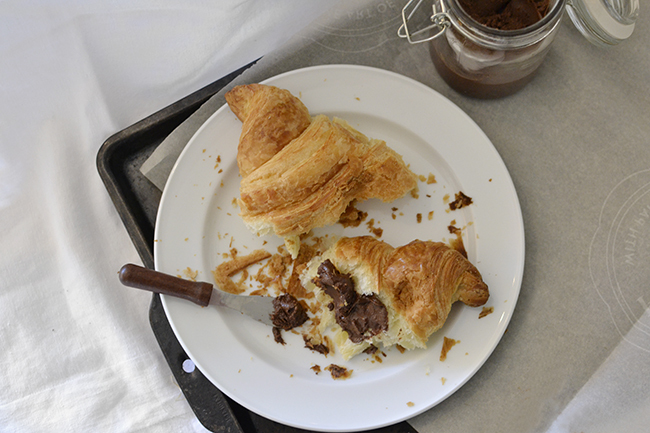 There is nothing more deliciously divine than a toasted croissant with oozing Nutella, except for maybe croissants and cheese but that was for lunch later that day. After coming home to Canada with my pants two sizes too small, I decided to cut cold turkey. 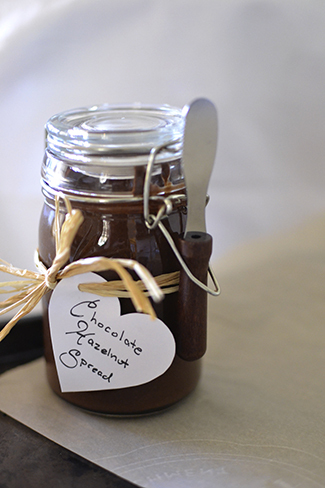 And then recently, through the wondrous world of Pinterest, I found recipes to make my own chocolate hazelnut spread, sans modified palm oil! I had a couple different recipes pinned and decided to try this one from Le voyage créatif. I ended up altering things a little along the way but I must say I was very happy with the result. I had never de-skinned nuts before and I discovered it's not as easy as the process sounds. I tried a couple techniques and what seemed to work the best was waiting for them to cool and then using a textured kitchen towel to rub the skins off. That and rubbing them together in my hands worked in the end. I ended up giving in to the fact that it just wasn't possible to get all the skin off. But it really doesn't matter because they all get food processed. I meant to give these as gifts for Christmas but I didn't make it in time so they became New Years/hostess gifts. I found the little spreaders at Ming Wo and they just so happened to match the spread and fit snuggly into the jar latch. 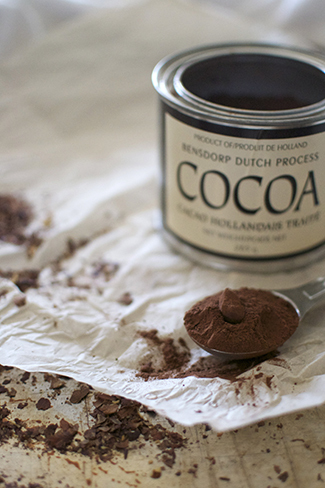 As I slathered some of this onto a freshly baked croissant, I felt like I was back in Roselynn's kitchen, munching on my breakfast while deciding which musée to visit that day. 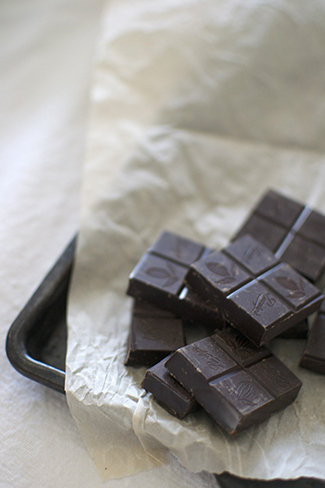 Place chocolate into a heatproof bowl fit snugly into a pot filled with 1/2 inch of water (make sure the bowl doesn't touch the water). Turn onto minimum and let melt. 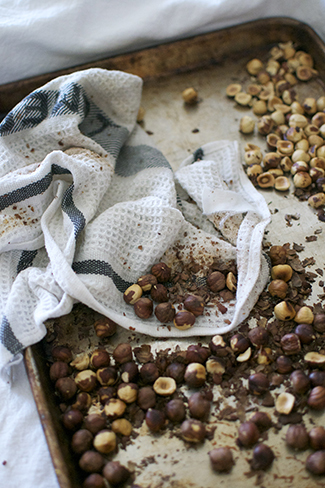 Roast the hazelnuts on a baking sheet in a 350º F oven for about 10 minutes. To check if they're ready, split one open and look for a golden colour. It's easy to over-do it, which will result in a bitter flavour. 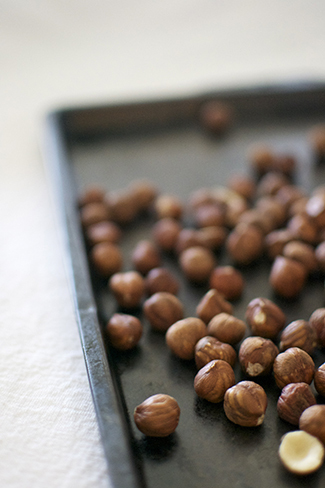 Transfer nuts onto a different baking sheet and let cool for about 10 minutes. Then start picking up handfuls of the nuts, rubbing and squeezing them together in your hand. Take a dampened kitchen towel and start rubbing the rest of the skins off. Some will come off easily with just your fingers and others are just so darn stubborn, it will take a little elbow grease. 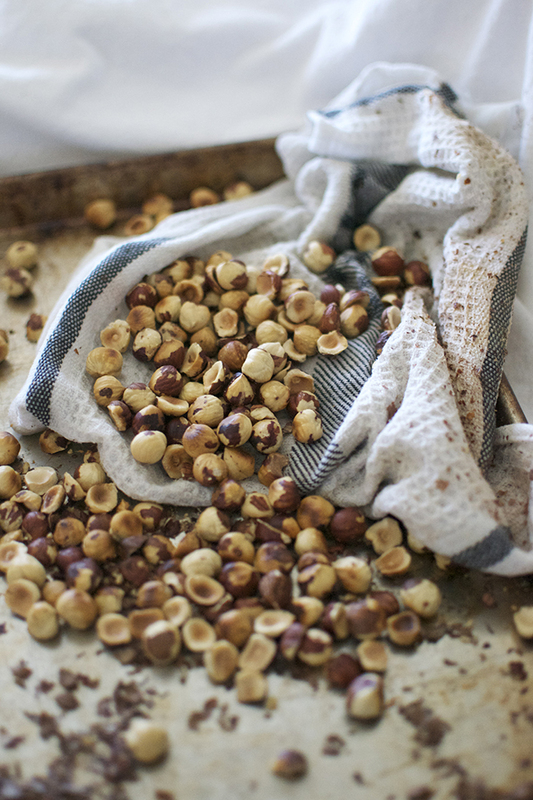 Now poor the nuts into a food processor and process until the nuts resemble bread crumbs. Add all other ingredients and process until liquified - about 5 minutes. 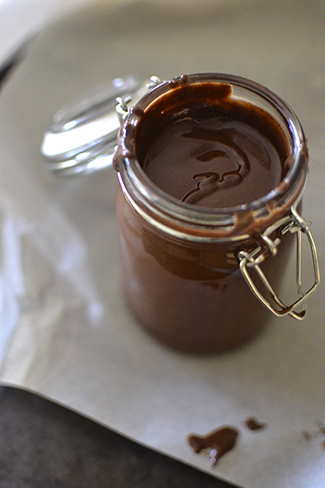 Pour into jars or airtight containers and refrigerate. It keeps for about a month. This looks so delicious! I love love love the packaging you did, so pretty! Next time come say hi if you see me! I would love that. 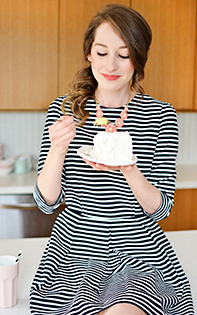 Great blog and photos! Hope Toronto is treating you well.